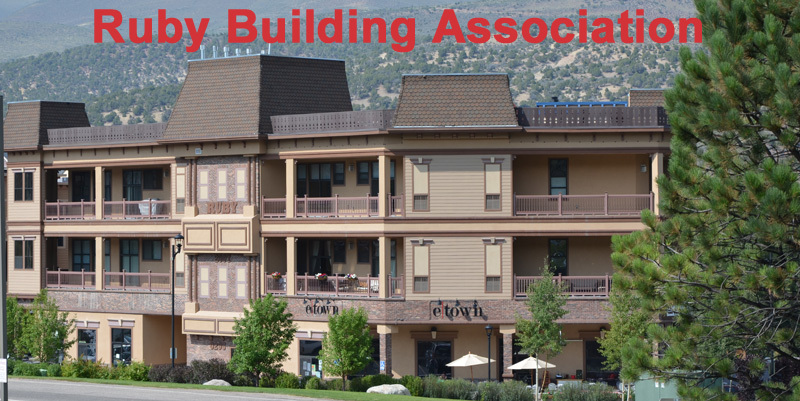 The Riverwalk Ruby Building Association was formed in 2006 and is located at 0295 Main Street in Edwards, Colorado. Located in the Vail Valley, the Edwards Riverwalk, and the Ruby Building in particular, provide a unique retail and multifamily neighborhood that appeal to locals and tourists alike. The Ruby Building is comprised of three stories of ground level retail units with residential units located on the second and third floors and fits with the Riverwalks motto – Eat, Work, Play. Businesses include a book and coffee shop, a home furnishings and women’s fashion boutique, a bike shop, and a contemporary restaurant and bar.